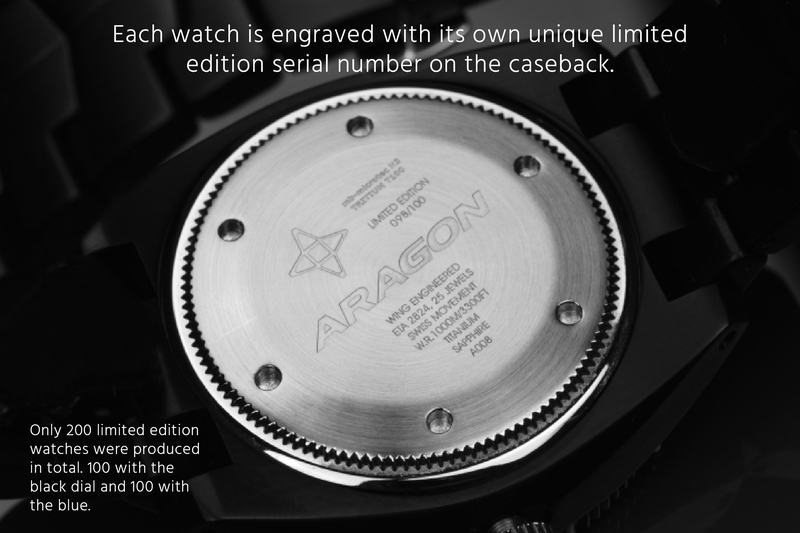 Since the beginning, ARAGON Watch has dedicated itself to creating luxury timepieces that would satisfy watch enthusiasts on a budget, and our latest project is no exception. 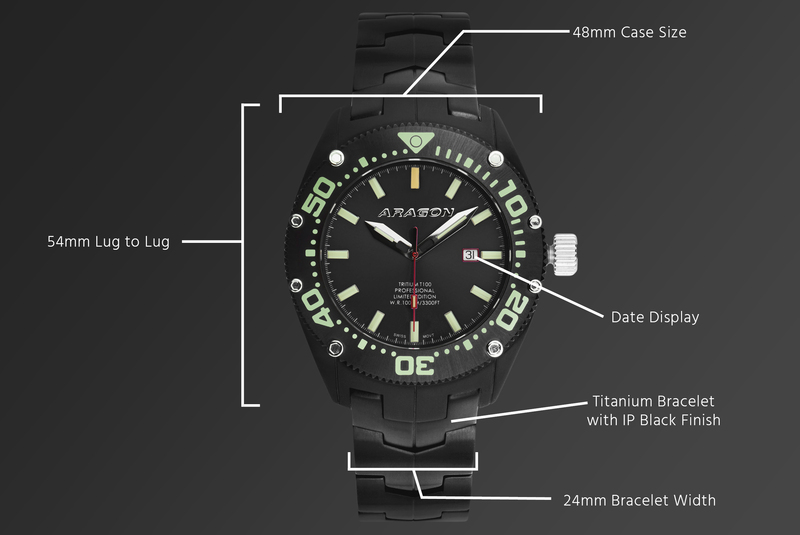 Introducing the ARAGON Virtuoso Flat T-100 Tritium Tube Watch, a limited edition timepiece with a total of only 200 units available, 100 with a blue dial and 100 with a black dial. Throughout his time in the industry, ARAGON Watch founder and watch engineer Wing Liang has continually pushed himself to create unique timepieces. 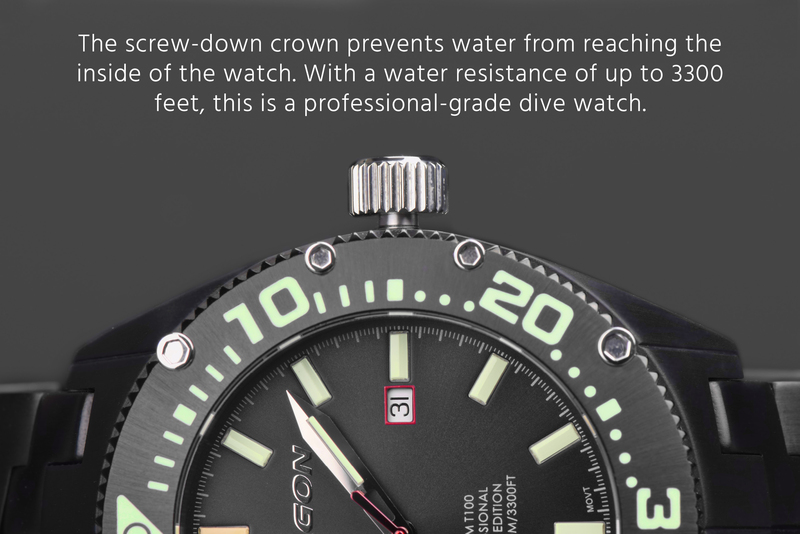 With this timepiece, Wing used top-of-the-line components and materials to design a top-of-the-line watch that could be produced at an affordable price. 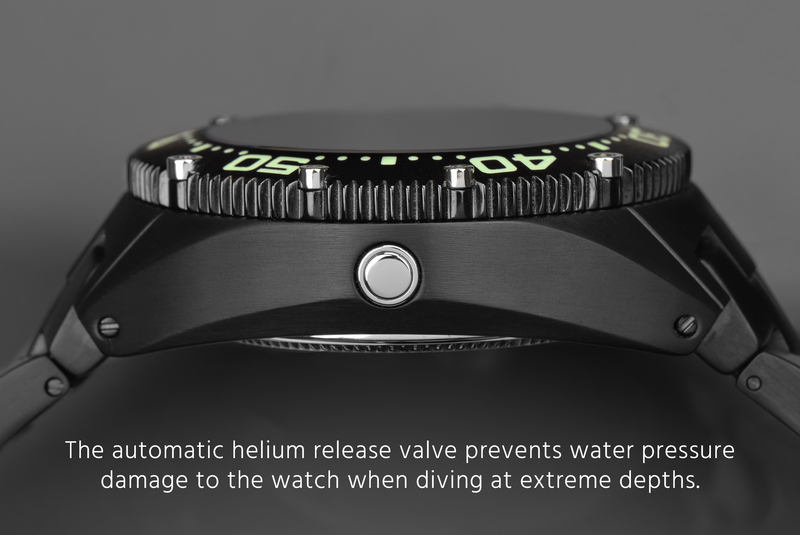 This is the Ultimate Watch The combination of a Swiss ETA Movement, flat T-100 tritium tubes, sapphire crystal, titanium casing and bracelet and water resistance up to 1000m has never been seen altogether in one piece, and this watch truly pulls out all the stops.